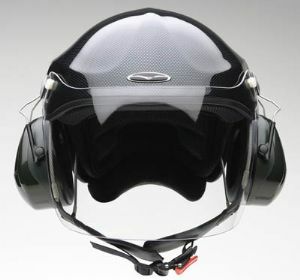 All these UL helmets have been developed for paramotor or microlight pilots specifically to provide efficient headsets for radio communication, or just to filter out engine noise. 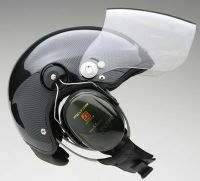 We use only the finest Peltor-brand headsets, and we mount them perfectly onto the helmet. 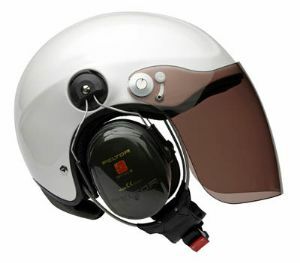 We can apply the electronic apparatus for any type of radio equipment, including the professional headsets used by the Swiss aerial rescue service with our Rega helmet. Once the headsets are fixed with our special screws onto the helmet and the polystirene is perfectly positioned in to the shell, it's nearly impossible to take it out again. It becomes also difficult to change the headset. For this reason we recommend to decide at order time the appropriate headset.